baboy :), 26 Oct 2012hey guys i want to buy a phone and i'm choosing between the samsung galaxy ace or the nokia as... moreGo for galaxy ace. It is better than this. Anonymous, 26 Oct 2012Asha 311 does not play HD games, only simple java games. Nokia drive does not work on s40 platform What ur meaning of hd games & nokia drive can easily use in my asha 311 since approx 3 months,o.k., check it out before posting. baboy :), 26 Oct 2012hey guys i want to buy a phone and i'm choosing between the samsung galaxy ace or the nokia as... moreHi my self bappan I am using Nokia Asha 311 for last 3 weeks and this mobile quality is soo good and video clearity is very oshom. Many likeable features in this cell phone so I will prefer you got it. 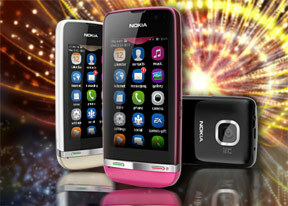 Hey guys.where is the better between nokia asha 311 and samsung galaxy y .
frndz i am very disappointed after getting this phone . it's software is of very poor kind , it hangs a lot . i am using this phone for 2months and i had to go to service centre 3 times because of sw prblm. and the qualities of its accessories are too poor . i must say one thing that it's touch pad is superb .